The sixth and final book in Dorothy Dunnett’s Lymond Chronicles finds Lymond and Philippa in France. Their relationship remains unchanged since The Ringed Castle, but they plan to dissolve the relationship after the wedding of Mary, Queen of Scotland, to the French Dauphin. All signs point to Philippa marrying Austin Grey, the Marquis of Allendale, the man Lymond mockingly referred to as Tristram Trusty in The Ringed Castle. Philippa also hopes that Lymond will be able to find happiness in a marriage to Catherine d’Albon. And she hasn’t let go of her desire to find out the truth behind Lymond’s birth. For his part, Lymond keeps his intentions and desires to himself, with only those closest to him, such as Archie Abernathy, knowing just how much physical and emotional pain he is in. As the royal wedding approaches, the characters from previous books begin arriving in France, making it more difficult for Lymond to keep his distance as family and friends (and a few enemies) crowd around. Teresa: In our discussion of The Ringed Castle, we talked a bit about the interplay of political and personal life in this series. I was struck by how crucial that interplay was to this book. Everyone seemed to have an opinion on who Lymond and Philippa should be married to, and often, those opinions came down to politics. It’s something I’d expect when it comes to royal marriages, but the marriage of anyone with power or influence seems to be a matter of public opinion. Jenny: True, and it does mirror, in a small way, the secrets and conspiracies behind the great royal marriage that takes place in this book. In the course of this series, we’ve seen so many great people brought down by mistakes, ranging from adultery to warfare to Protestantism. For the wealthy, the personal is all too political. The same is true of Lymond, who is too important to be permitted to make his own decisions about where he will live (Russia? France? England? Scotland? ), whom he will marry, or where he will serve. But who is making the decisions? Is it the King of France, or the men of St. Mary’s, or Philippa? We’re also led to believe that the Dame de Doubtance (now dead) plays a role, but even on this third read-through, I don’t know what it’s supposed to be, or why. Teresa: I think the Dame de Doubtance just wants power, but her plans seem too far-reaching to be believed, especially so many years in advance. I can only figure she stored up all her secrets hoping she’d get a chance to use them. That leads right into my one big complaint about this book, which is that major developments hinged too much on coincidence. This was especially noticeable near the end, when one convenient death and then another end up preserving Lymond’s life. I don’t know if Dunnett was intentionally trying to show that all the plots and plans in the world are subject to outside forces of chance or if she just couldn’t figure out another way to get to the ending she wanted. I want to think it’s the former, but I can’t be sure. Jenny: I agree that she’s playing with these ideas. We’ve seen all the lines that lead to those deaths laid in train — all the emotional consequences of each action that lead to the final, fatal trigger — but in fact, they aren’t fate, they’re choice (right? ), and could have been changed. It’s one of the main themes of the series, isn’t it? Is Lymond ever once free to do as he likes? He claims total independence, even arrogance, but he wants to serve Russia. Is he ever free to return and do so? Is it because of his stars, or because of his (and others’) choices? All these ideas are explored even more thoroughly in the Niccolo books, which are even named after constellations. I think this free will/ fate question is one of the most important Dunnett is juggling. Do you think, in light of that, the ending is earned? Teresa: It’s clear to me that no one is as free as they claim to be in this series, even if it’s only other people’s actions that pin them in place. But I’m uncertain how much the characters’ fates are down to chance and how much to choice. Characters like Marthe make choices that turn out to be fatal—but only by chance. And others avoid the consequences of their choices—by chance. But the twists of chance seem less like fate and more like the outcome of the many ways these characters are bound together, and that goes right down to the reason Austin Grey could make his final mistake. As for whether the ending is earned, I of course wanted to see the central characters find some sort of happiness and peace. And I appreciated the way Dunnett took Phillipa’s trauma seriously instead of having her immediately shake off what happened in The Ringed Castle and fall into Lymond’s arms. Yet when it comes down to it, the ending seemed to come too swiftly. Maybe it’s that I was frustrated at Lymond’s easy escapes toward the end. Maybe I needed to see Lymond and Phillipa really grapple together with what happened. And maybe I just didn’t want the series to end just yet. Jenny: As I’ve said, this is my third read-through. My first was all for plot and action, my second more for character, and my third for politics. But my biggest criticism this time was of the ending. I’m not sure it happened too fast, exactly, since it took us multiple volumes to get here, but I had major reservations about Sybilla’s justifications for her behavior (no, dear, Grand Passion does not excuse everything) and about the whole “double trauma means no trauma” thing for Philippa. I’m not sure that’s actually how it works. After so much wonderful plotting, it got a little overheated there at the end for me. Still, the fact that it stands up to such close examination only proves that these books are some of the very best historical fiction I’ve ever read. Unless you count Dunnett’s Niccolo books — or her King Hereafter! The detail, the pageantry and swashbuckling, the humor and poetry, the scenery and action, the history, the characters — it all makes for a powerful, beautiful series that shows an age and those who moved within it. What a fantastic read. I hope you have all been convinced that these books should go on your TBR, if they’re not there already! 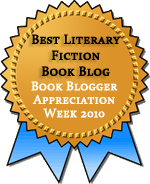 This entry was posted in Fiction, Historical Fiction. Bookmark the permalink. I really enjoyed this exchange! Checkmate is not my favorite Lymond book but I’ll never forget the absolutely total absorption with which I read it for the first time years ago — staying up into the wee hours because I just had to finish the story. I agree that the role of chance is a weak spot, and indeed the overall plottedness of this book (which I guess reveals just how intricately plotted the other ones were, in the sense of coming from and leading to the same story) is what makes it not my favorite. But I find the development of Philippa’s character, and of her feelings for Lymond (and his for her) entirely satisfactory. I think this may be the most flawed of the books, but it’s hard not to love it anyway just because of how exciting it is to see how the story ends. “Characters like Marthe make choices that turn out to be fatal—but only by chance. And others avoid the consequences of their choices—by chance.” – Well yes – but that’s no different to the other books, or to life: Had Hitler been sat in a slightly different location he would have been assassinated, had Princess Diana fell ill that evening she would not have got into the car in which she died. I am not sure why that’s a criticism. And actually, Marthe dies because of her likeness to Lymond (not a coincidence) and Jerott’s choice which is driven by Lymond’s unhappineness (not a coincidence), and she is heading to Flaw Valleys to deliver documents to Lymond (not a coincidence). I think one reason it bothered me was that I wanted Lymond’s own wits to win the day. Stuff happens by chance all the time, but in a book there’s a danger of coincidence being a way to write a character out of a corner. 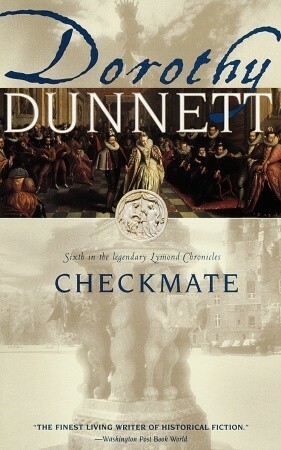 Dunnett’s better than that, and there are reasons for each of the individual events to happen, but the timing and the way they all came together at this precise moment to save Lymond was pushing the envelope for me.